We take things seriously at cyclecamp. 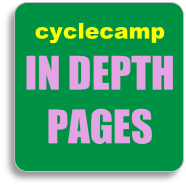 On these In Depth pages you will find discussion of many of the background issues that we think about at cyclecamp - everything from the cyclecamp philosophy to issues about young people's independence. There are special pages for parents and teachers and a complete page of frequently asked questions. Click on any of the topics on the menu on the right to find out more about the thinking behind cyclecamp. 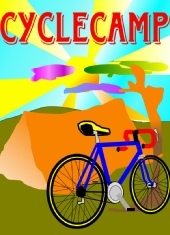 Don’t forget that if you have anything you would like to take up with us use the contact form or even raise it in the cyclecamp forum.